Begin your training efforts at about eight weeks old. Although any German Shepherd dog is trainable, they are very tough and powerful pets. If you start out when your pet is a puppy, it will be much easier to mold its personality and strengthen your bond early. But no worries, if you happen to start the training when your dog grew a bit older, this breed can still be taught efficiently at any age. Socialize your pet. German Shepherds can be overprotective about their family, so you have to socialize your pup as early as possible. This will make him used to communicate with a wide diversity of people and animals, which is crucial for a well-behaved pet. Start mildly handling your puppy’s ears, paws, tail, etc. Your pet will grow big, so you both have to be prepared for the future vet’s visits and regular trimming/grooming sessions. They may need nail clipping, ear washing, temperature measuring and other procedures that require lots of uncomfortable for the pet touching. Those will be difficult to perform if your adult German Shepherd will protest. Work on the puppy training starting with basic commands: stay, sit, heel, etc. Your puppy will not get your commands right away. Have tolerance for your dog when he or she doesn’t do precisely what you ask from the very beginning. Use food treats and approval to strengthen the message. German Shepherds like to learn, and they are incredibly motivated to obey your commands if they are compensated with treats. But utilize treats carefully. After your puppy has learned a command, start treating intermittently – thus you will eliminate the risk that your shepherd will only do tricks for food. You still praise your pup, just not give a treat each time. If you are working to alter command to create a quicker response, add in treats again to form the behavior until its settled. Then start giving treats to praise truly exceptional performance exclusively. Eradicate negative behaviors. If your dog barks wildly when you put the food bowl down for a meal, and you don’t want this (remember he/she will be louder soon), don’t put the dish down until he’s sitting calmly and still. He will learn that he will get food faster if he’s quiet. Stop feeding aggression. Pet your dog while they’re eating. If the puppy stops eating, stiffens, or growls, when you doing so, you have to do something about this aggressive response quickly. Show your puppy that people are not going to steal the food by adding more to the bowl while the pup is eating, so the dog associates good stuff with people being around the food dish. Address food aggression. If the previous training trick doesn’t work try something else. You can deal with the aggression by removing the food bowl and feeding the dog from your hands. The puppy must earn each piece of food from you with a “sit” or any other command. There is no food dish to defend. Once the puppy is more assured and submissive around food, you can bring back his bowl and resume your hand feeding routine in the presence of the plate, but don’t feed right from it yet. Use feeding as a training exercise. You can continuously ask the puppy to look at you to receive more food, then sit and, etc.. The humans control the supply of food and praise the puppy for sound behavior. Do not create a feeling of terror in your puppy. Do not shout at your pet. Learn to know when you are losing tolerance and stop the training in a happy tone. Your dog can identify your disappointment in your tone of voice or body language. Continue education on another day when you are both more energized. Be an alpha for your dog. Typically, as pups are studying their first commands, one adult family member will be accountable for practice. Later, when the puppy is regular and knows the basics, other members of the family can join the formal training. It is necessary for the dog to realize that there’s more than one person in the family to be obeyed. Get Help if you know you need it. If at any point, you sense that the learning process doesn’t go as it was intended just stop and find a professional trainer immediately to limit harming yourself, your pet or another family member, especially a child. Food guarding can be a hazardous sign of fear aggression and, if you are noticing this in a puppy, it has to be addressed quickly so it won’t intensify. Sign up your German Shepherd puppy in a basic obedience class. 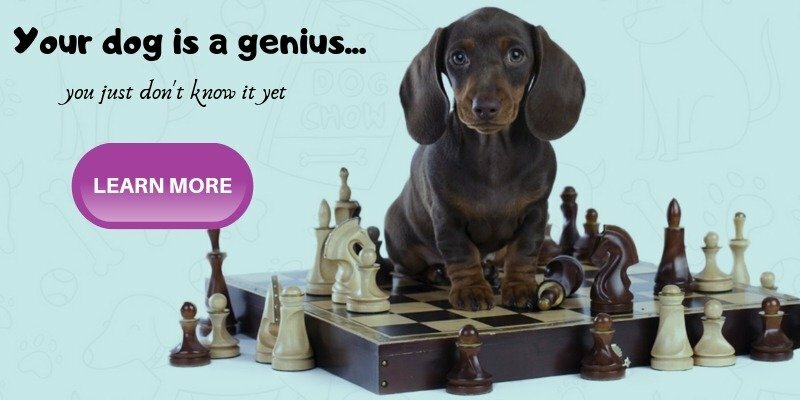 One of the most amazing options suggested by our reader Caryl, who’s been working like a dog behavior consultant for many years herself is this course. It was developed by one of America’s top professional CPDT-KA certified dog trainers, Adrienne Farricelli and she put 10 years of her experience in short easy to follow the program. As Caryl mentioned: “There are training nuggets throughout, both in the step-by-step instructions and the Troubleshooting sections that will help enrich the lives of both dogs and their owners.” Check the details here. Diversify your training. Your pet will have some trouble generalizing schooling to a new location. If they are potty trained at your house, they might not realize that the same rules work at your neighbor’s place, too. Only because “come” do the trick in the living room doesn’t suggest it will work at the park. For this purpose, it’s critical to train your puppy in a wide diversity of settings. Since you’ll be bringing your dog out for socialization anyway, simply use this time for a quick training session. Provide your dog an opportunity for a daily energy release. German Shepherds have a lot of energy that requires to go somewhere. The biggest favor you can give to your pet to help is to provide an enjoyable outlet for their enthusiasm. This can involve walks, joint sprints, and other adventures. Follow up on commands. Some dog owners will announce a command to their dog, then, if the dog doesn’t comply, just drop the effort. That doesn’t strengthen positive response, it only reinforces that your requests can be ignored. Delivering a simple command and following through with it helps put importance to each command. If you ask the dog to “come here” then you have to stand there as much as it takes the dog to perform the desired action. When they finally get through, you can praise them. Be cautious not to overuse commands, as you will be obligated to follow through on each one. That can involve a lot of time and perseverance when any new commands are being taught. Don’t blame the dog. Dog’s passion is to please humans. But they just do not have our level of intelligence. It’s up to a dog owner to show how to operate in the human universe. That suggests that if a dog has a bad twist, it’s up to the owner to discover a way to help them with fixing the quirk or to re-direct it into positive action. For example, if a dog likes to chew, getting them the decent toys to grind may go a long way. Stop communicating when the dog misbehaves. If a pup is pulling on a leash, the greatest way to prevent them from doing that is to stop walking. That means they will have to remain still and be patient to move again. So, if there is tension, just stop moving. Also, if they are hopping up on people, have the person shift their body away. The best way to practice good behavior is not to reward bad behavior. Make training entertaining for your dog (and try to appreciate the process yourself). German shepherds enjoy to learn and please the owners, so they’ll pick up the material more quickly if you retain things fun and light. Try to make your regular training sessions the best time of your dog’s day. Keep training brief – especially at the beginning. Reduce the duration of training to 5 or 10 minutes for pups, and no more than 15 for grown dogs when you are just getting started. After your pet has been training for some weeks, you can expand the duration of the sessions. Just be certain to wrap things up when your pet’s attention span begins to decrease. Understand that some tricks are more difficult than others. All dogs are individuals, who have different strengths and flaws. So, don’t become depressed if your dog has a problem learning a particular skill. Try to concentrate on those at which your dog shines, but continue to dare him with those that are difficult – just be patient and positive in the process. Always end training sessions positive. Thus you’ll help bypass frustration and negativity, which will ensure your dog enjoys learning and leave the session feeling happy and proud. So he’ll probably be thrilled to engage in his next education session. Use a clicker to give assertive reinforcement through various sensory pathways. Audible clickers are little, hand-held gadgets which make a clicking noise when activated. Typically, they are sounded when you grant your dog a treat. Over time, your dog will start to interpret the noise as a reward by itself, which will provide you a way to train without treats. Try to assign commands in the very same tone each time. Remember that your pooch does not speak – he can only be taught to connect a given signal with correct behavior. Therefore, you’ll find that by issuing commands in the very same way, your dog will master them sooner. Think of including hand signals with vocal commands. Just like clickers provide you many ways to give your dog positive feedback, hand signals enables you to transmit a command via various sensory pathways. By utilizing the mixture of hand signals and verbal commands, your dog will probably learn his lessons sooner. Think of pup’s abilities. Young puppies have tiny attention spans, but you can anticipate them to begin to get simple obedience commands such as “sit,” and “stay,” at 7 to 8 weeks of age. Formal dog training has typically been postponed until 6 months of age. In a nutshell, as the result of obedience training your dog will listen to all the commands, and consequently, the pet will be safer and more comfortable to own. Particularly in the case of big dogs, overly noisy greetings can hurt people, and training can prevent this from growing into an issue. The dog should study to bark when his area is invaded. However, he shouldn’t be barking when you command him to stop, and he should not growl at people when they are not on your home’s territory. The obedience training should be managed in a confident, rational manner, requiring a lot of consistency and patience from your side. With a puppy, training sessions should be restricted to five minutes at a time, performing one basic command at a time. Longer and harder sessions will lead to frustration and failure for both participants. Use treats and lots of love to strengthen learned commands. Never display stress or disappointment to your pup because that will only drive an aggressive response. Be certain your puppy is on a relaxed leash and have your treats and clicker readily available before the training sessions. You may want to bring toy rewards as well but regard this option closer the end of your training as it may be tough to redirect the puppy’s attention to obey commands once faced with a favorite toy. Mix the verbal command with a hand indication to reinforce the action, followed by the praise, treat, and clicker when the command has been completed successfully. Praise your dog quickly following their efforts to help to reinforce the positive behavior. Remember that even the simple tasks, like memorizing how to heel, are new talents for your dog, and may take time to learn. Get some more information. Read this guide. Get additional knowledge signing up for FREE Mini Email Course on how to turn your pet into the most well-behaved German Shepherd on the block. It’s a paid program by Michael Tapscott who spent months and months researching, writing and interviewing German Shepherd trainers, vets, importers. But he gives away some of the information for free, and you can sign up for a complimentary course here. Leash and collar might also be handy. A collar with your information is particularly necessary for pups who may run off. A leash will help you retain your dog near, and is especially vital since puppies may not give attention to a vocal command, and can be put in control with the leash. Begin showing commands. At the very least, all dogs must recognize the basics like “Sit,” “Heel,” “Stay,” and “Come.” To practice commands, you’ll need to be calm and train your dog in brief sessions. Concentrate on one command per training, and be consistent in your teaching strategy. If you’re cracking on the command “Stay,” for example, only train this one and say it in an identical tone each time. When your pup follows the command, treat and praise the pet for positive reinforcement. If something is not working as you’ve expected get help! One of the most affordable options we recommend to consider is this course. It was developed by one of America’s top professional CPDT-KA certified dog trainers, Adrienne Farricelli and eliminating bad behaviors in dogs is her specialty. She packed her 10 years of training experience in short easy to follow program. Implementing the outlined techniques will turn your stubborn German shepherd into incredibly well-behaved, intelligent dog who obeys your every command. German Shepherds are a very easy breed to train. However, they can be a handful and can get themselves in trouble (e.g., chewing, barking, food aggression, destroying furniture, etc.). This course will help you so much at each stage of your pet’s life. Check the details here. Potty training is a significant part of your dog’s obedience training. It’s a huge step for your pet to understand that it’s not appropriate to go to the bathroom inside and to learn the concept of waiting to pee and poo. Similarly to a baby, a puppy cannot adequately control their bladder, so it’s necessary to keep natural conditions in mind, and only intend for puppies to hold it for a fair amount of time. You may see that your German Shepherd pup will also look for these cozy little spots in your house by sneaking under tables. Giving a crate for your dog that has a smooth, comfortable blanket and a toy will not only entertain your pup and make him feel secure, but it will also serve you as well. Your adorable puppy will start to grow quickly and go over a diversity of stages that include chewing your favorite things such as shoes and furniture. Setting up a crate can be advantageous since dogs will generally resist going to the bathroom in the same area that they relax and sleep in. Just be cautious to only restrain your pet in the crate for a fair amount of time; waiting to potty, and staying in the crate in general, should not feel like a penalty or unrealistic task. Honor your pet when they potty outdoors in a proper spot. More potty training goes nearby with crate training. As soon as you allow your pup out of his crate, you have to take him directly to his authorized bathroom area. You are the one that defines this area. It could be a specific area of the garden, or it can be a pee pad put in a particular area in the house. Chances are he will go to the bathroom instantly since he will decline to go while in his crate. Another rule to recognize is that after you give your German Shepherd pup food and water, take them to their chosen bathroom area within 10 minutes of him finishing his meal or drinking. German Shepherds are very intelligent and will soon pick up and learn their regular schedule. They will finally begin to look out for this schedule on their own. You will see this because they will start telling you by scraping at the door or immediately going to their chosen bathroom area on their own. (That’s when potty bells will get handy if you don’t want your property to be all scratched out). Once you arrive at this stage, you can pat yourself on the shoulder – your German Shepherd was officially potty trained. Many dogs are natural watchdogs, and German Shepherds are included in the list. Their bark is enough to alert their master to something important, and the warning they set up is a deterrent. Besides, dogs who will attack if their owner is genuinely assaulted do not have to be trained into aggressive. Teaching a dog exactly to be a guard dog is dangerous and potentially constitutes a liability for you. Confused attempts to make a dog threatening through abuse will only boomerang because the dog will not be faithful to someone who handles them harshly, and if the dog awkwardly bites someone you will be at blame. Never teach dogs who are primarily fearful or non-controllable. Those may not respond appropriately in non-threatening circumstances. Socialize your German Shepherd from the beginning. Dogs should obtain an understanding of what is natural and what is not so that they know when there is a real threat. To socialize puppies, take them with you, and let them interact with as many other people and furry mates as possible. Dogs of any breed are likely to be shy and nervous in the new environments if they haven’t been properly socialized, and this can form a dog who attacks from fear or who runs when faced anything unusual. Enroll your German shepherd dog in an obedience class as soon as possible, and teach your dog thoroughly in basic obedience. It is imperative that your German shepherd dog is respectful at all times, but if you need to begin guard dog training, the requirement for control becomes crucial. Even though the idea behind the training is serious, dogs should appreciate obedience work and see it as fun. Positive support and rewarding serve multiple goals: teaching dogs obedience, bonding with the owners and letting your pet to have fun. It also satisfies their demand to work. Teach your German shepherd dog to stop barking. If dogs don’t get this, they may howl incessantly at anything out of the ordinary. Begin by teaching the put to “Speak” on command, and provide a treat and much praise for barking. Next, crack on “Quiet” or “Enough.” Give instant praise and a treat when the dog goes quiet. This training ultimately gives you power over the bark. Promote your dog’s bark proclaiming strangers who arrive at your house. You can develop this trick by making a performance of going to check why the dog is barking, giving praise, then following up with the “Quiet” or “Enough.” Respond positively when your German shepherd dog warns you to unknown people or objects at home, but do not let this behavior to occur away from home. Your dog should be cool about friendly strangers you meet when you are out. Build your dog’s vigilance at home by having people the pup doesn’t know act as they are attempting to get into your house or garden. When your German shepherd dog barks, the invader should watch the dog and then leave while you hold and honor your dog. Do not permit your pet to chase the stranger. Praise your dog profoundly for informing you that someone was in your territory, and end the barking as soon as the person escapes. This increases the pet’s confidence. Walk your German shepherd on a leash around your property regularly to make him recognize the territorial boundaries. Do not encourage your dog’s barking at people outside your property or chasing them under any conditions. A crucial aspect of guard dog training is being in control. It states your role as leader and usually comes from the time spend with your dog in fun activities, obedience training included. A dog who tries to be dominant can cause severe damages and is far more of a burden than an asset. Never try to teach your dog to attack people. Doing so may be prohibited in some states, and you place yourself at danger because you will be responsible for damages that result from an attack. And please don’t overtreat your dog while training him or her. Too many treats will head to unhealthy excess pounds. Too many vitamins can also have unintended results. We will talk about the rules of german shepherd nutrition in one of the following articles. No matter how old or young, every human yearns to have a pet at some point or another. As a toddler, parents always pointed out to dogs and portrayed them to be fascinating creatures- someone with an extra pair of legs when compared to you and Oh, ya “A tail”. And if you were a brave baby, you probably have an adorable picture or video of you cuddling with a dog that would literally “aww” people. Be it dogs or babies, once you own one, you can feel your entire world revolving around them. Like babies are taught the way of life, and nurtured to become a strong and well-mannered human being, your German shepherd can be trained too. In fact, you get to skip the walking part because your puppy comes pre-loaded with that quality, but you still want to make it run, skip and perform a ballet duet with you. Training your dog may not be as easy as teaching a baby how to sit, but you don’t give up on your baby, do you? Patience, personal interest, consistency and a whole lot of dog treats will surely get you there. A trick wherein you teach your dog how to pick out his favourite toy placed in a random bunch of objects. All you need to do is place a familiar item between some uninteresting ones, point at it and ask your dog to get it to you and obviously treat him if he does it right. Once you start playing this game with your Shepherd on a regular basis and he gets used to it, you’ll have a lot of assistance on days when you are lazy to step down from the bed. All you’ll need for this trick is a lot of patience and a single ‘click’ with your fingers. First up, you need to teach your dog the ‘down’ command, where you teach him how to ‘sit down’ folding all four legs. Once that is taught the next part is to make him familiar to your ‘click’ such that he knows that this action of yours means he has to lie down completely acting like he’s dead. Just make sure you don’t go too far or your Shephard might just scare you by playing dead so accurately. While you can just steal a comfortable hug from your dog at any point in time, this trick will just help you add a bit of magic by actually teaching your Shephard to hug you back. All you’ve got to do is tell your dog how to wrap both his arms around you and award him with a treat once he learns. The treats will no longer be required once your Shephard knows how that ‘hug’ can act like a stress-buster after a tiring day. Hold an irresistible treat near your dog nose and pull it around your dog in the direction that you want him to spin. Once mastered, your Shepherd is one step closer to being your perfect ballet-duet partner. Remember how as a kid you were forced to shake hands with any person that walks into your house? It may seem like a duty when you do it, but your dog shaking hands is purely adorable. Once your Shepherd knows how to sit on his hind-legs, the next thing you need to do is hold your palm out and beckon it to place one of his paws in it. All your guests will surely have an “aww” moment and your dog will make new friends every day. If you’re obsessed with your Shepherd and have a weak heart to watch your dog ‘beg’ then this is something you should avoid. But for the sake of those perfect Instagram pictures, you can give it a try. All you need to do is hold a treat above his nose and raise it till he sits on his hind haunches. You may end up giving too many treats for this one. For this one to be smoothly executed you first have to help your dog roll-over by holding his legs and belly. After a few days of regular practice, your Shepherd will be able to roll-over on his own. If you have a treat ready, of course.